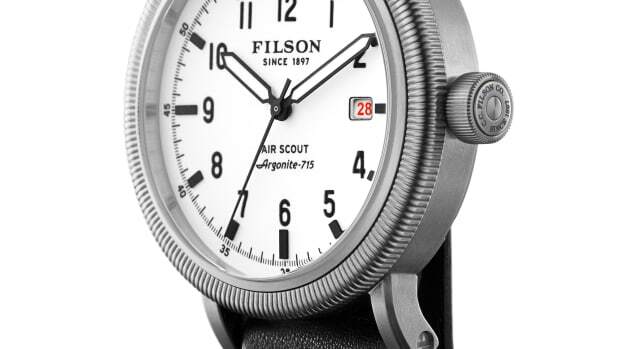 A bold new addition to Filson's extensive watch line. 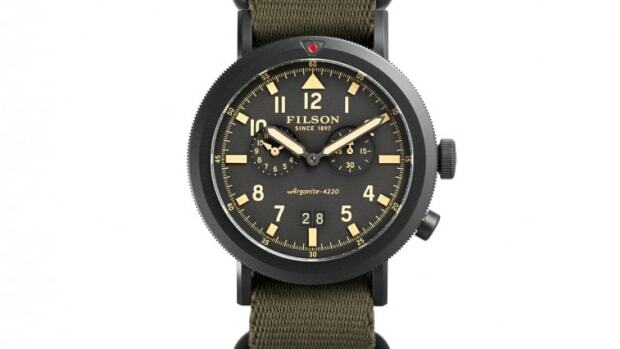 Filson keeps the momentum going with a new addition to their growing watch line in collaboration with Detroit&apos;s Shinola. 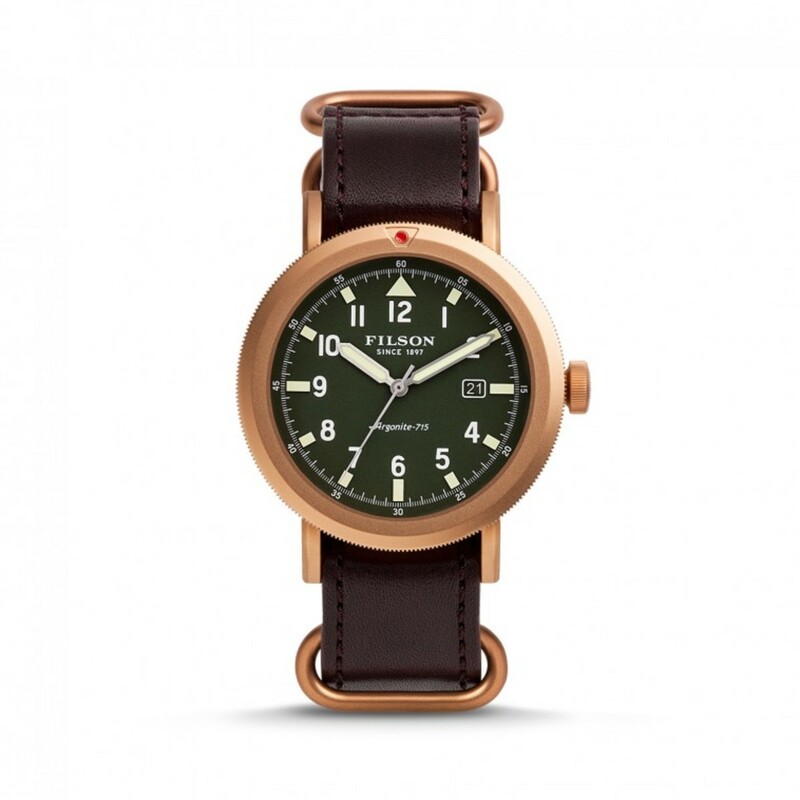 The Scout is a pilot-inspired watch wrapped in a 45.5mm stainless steel case with anti-fingerprint coating. 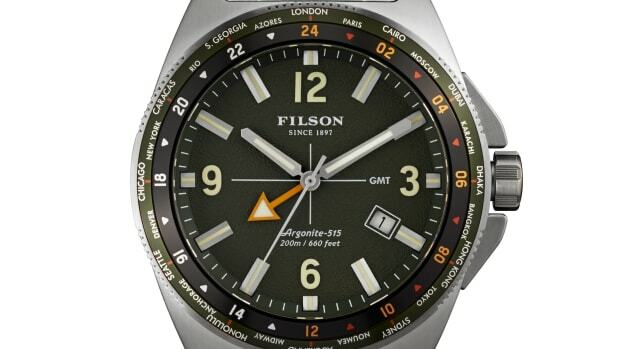 The watch also features a rotating, bi-directional bezel for tracking elapsed time, and comes in a variety of colors including matte brass, black, silver, and for the travelers out there, a dual time model is also available. The Seattle-based heritage brand brings its rugged styling to a line of impeccably-made watches. Inspired by the aircraft used by the US Forest Service smokejumpers.